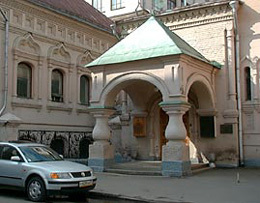 The First Martyoshka Museum was opened in Moscow. 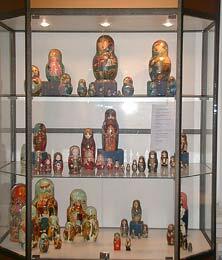 18 October 2001 in Moscow The Museum Of Russian Matryoshka was inaugurated. 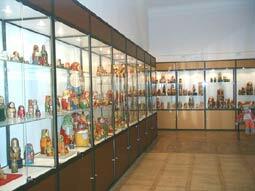 It is the first official collection of Matryoshka dolls in Russia, in spite of this art exists in Russia more than 100 years and appears as the most popular Russian craft. The Matryoshka Museum accommodates in the building of Russian Folk Arts Fund, in the same house where the first Russian Matryoska doll was created in the end of the XIX century. Here was the workshop of A.I. Mamontoff, the famous Russian art collector. 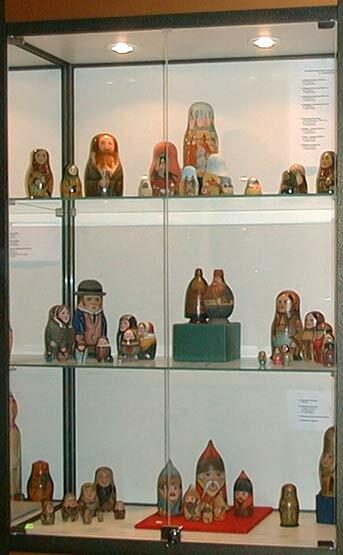 Last year the exhibition "100 Years of Russian Matryoska" took it's place in the same halls, thanks to Larissa Soloviova, one of the best experts in the art of Matryoshka and a woman of great enthusiasm. The exhibition had so much success that it's producers decided the display of Matryoshka must be continued as permanent exposition. A lot of people visited the ceremony of the opening - diplomats and artists, collectors and businessmen. Some people even came from other countries to present at the opening. The opening was translated by all principal Russian TV and Radio channels, also attracted the attention of many news papers and magazines. Now the museum collection presents both antic samples and contemporary art of Matryoshka. Artists who's works are presented in the contemporary part of collection: Danilov, Voronina, Gorbaceva, Streltsova, Simuhina, Nadezdina, Merkulova, Zukov Dmitry, Zukova Natalia, Solodilova and others. 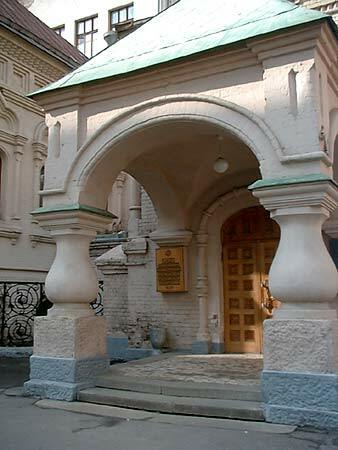 The address of Museum is Leontievsky Pereulok, 7, just in the Moscow center, between Tverskaya and Nikitskaya streets, metro stations Tverskaya/Pushkinskaya/Chekhovskaya, Okhotni Ryad, Arbatskaya. You are very welcome!